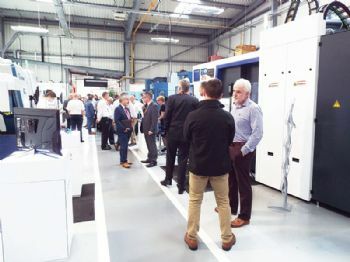 Seco Tools (UK) Ltd (www.secotools.com) has reported that its two-day ‘Inspiration through Innovation’ event — held last month at the company’s Technology Centre in Alcester — was a huge success, with over 750 visitors. Although keeping with the key principles of collaboration, knowledge-sharing and partnership, the 2018 event had a different format and structure, with an increase in the total number of machining demonstrations, the addition of a best-practice tutorial programme (running alongside the event’s seminar programme) and a new Technical Partner Exhibitor Zone. Richard Jelfs, Seco Tools UK’s managing director, said: “When you have an established and popular event, there is a natural inclination not to change its structure or content. There were 16 machining demonstrations, each focused on an actual (or representative) customer part. Moreover, each demonstration involved a number of technical partners working together to develop the machining process. 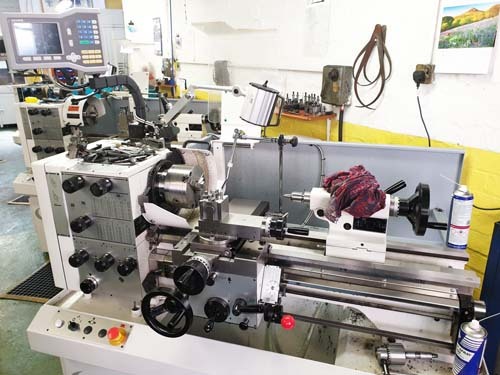 The technical partners included machine tool builders and CAD/CAM providers, as well as companies involved with work-holding, cutting fluids and metrology. Seco provided the cutting tools for all 16 demonstrations. Seco’s marketing, products and services manager, Mike Fleming, said: “In addition to the machine tools we already have at our Technology Centre, a number of machine tool builders — including Grob, Mills CNC, Heller, Matsuura, Mazak, Romi, and Fanuc — also brought machines that were involved in challenging demonstrations. The specific parts machined at the event included high-precision and complex aerospace, automotive and medical components.